Excuse me while I catch my breath here. Huff; puff! I just got wind of the fact that Mom is pulling out all the stops on this #Pet1stAid Twitter Party tomorrow and I'm busy running from her. I do not want to be her guinea pig. Let Tanner take that job! Now that I've found a hideout in my girl's closet, I'm good to go. 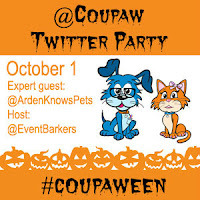 I want to tell you about our Halloween Twitter Party sponsored by Coupaw. They apparently have a bunch of Halloween costumes and other cool stuff for this dress up holiday. Mom and Miss Paris will be helping to find forever homes for their costumes by running a Twitter Party and promoting them. Sounds like fun; I'm in! You get to do more than just win prizes. Our new friend Miss Arden (aka @ArdenKnowsPets) will also be there to share tips on safety for pets on Halloween night. I have to say that I think this is a very important job. Once on Halloween our neighborhood bear wandered down the street and mom had to take charge of getting the children to go home and be safe. I'm glad I was inside where a 10-pound dog isn't at risk of being stepped on in the dark. Whew! First things first; let's get you all signed up and properly RSVP'd. Once that's done you'll need to hustle over to Coupaw and subscribe to receive their daily deals. They have, like, 5 new deals every day; it's amazing. And their shipping is free too! 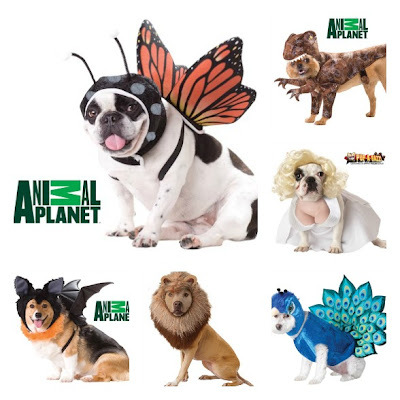 Mom says all the Halloween costumes cost less than $25 so what are you waiting on? Hmmm....I wonder how far my allowance will go? I'd like to be a Superhero. What do you think? After you RSVP below (mom provided me with a sample for you to follow), be sure to stop over at www.Coupaw.com. After that, you'll probably want to join in the PreTweeting and the Raffle giveaway. There's so much to do to have fun for Halloween. Enjoy! 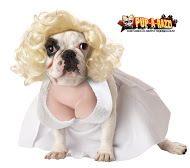 Through All Things Dog Blog's Event Barkers partnership with DogTipper.com we are helping Coupaw promote their Halloween costumes and themed pet items. This giveaway is exclusively for U.S. addresses. Halloween Fun is happening here! You can enter to win a Halloween costume or other Halloween item from Coupaw in the Raffle drawing to be done from the widget at the bottom of this post. Mom tells me it's sorta like the Rafflecopter she used to use. Hopefully you know what that's all about; I'm clueless. What I do understand is that this giveaway is part of the #Coupaween Twitter Party to be held on October 1. Mom says I'll be Tweeting the night away about Halloween costumes and sharing some of our photos. I hope there are not any embarrassing ones in her collection! So, here's the deal. 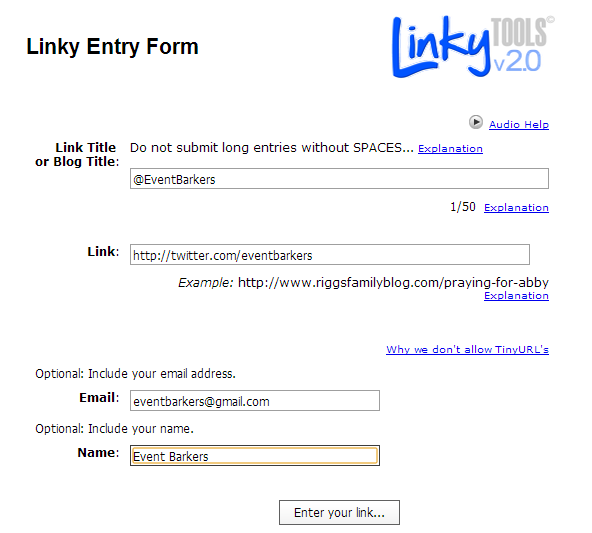 You enter in the giveaway widget below, using those entries that you'd like to join in on. You are not obligated to use all the entry methods. Just have fun! need to sign up for Coupaw's daily deals by visiting their website. When you get there you'll see that you actually can't see the deals until you fill in your email. Then they will appear and you'll see lots of cool stuff at great prices. They add new deals every day so you can save big bucks. What's more, you'll get an entry here for signing up. Good luck! Speaking of money, you can also win Coupaw bucks to spend on their site at our #Coupaween Twitter Party. You can sign up to attend right here on my site! 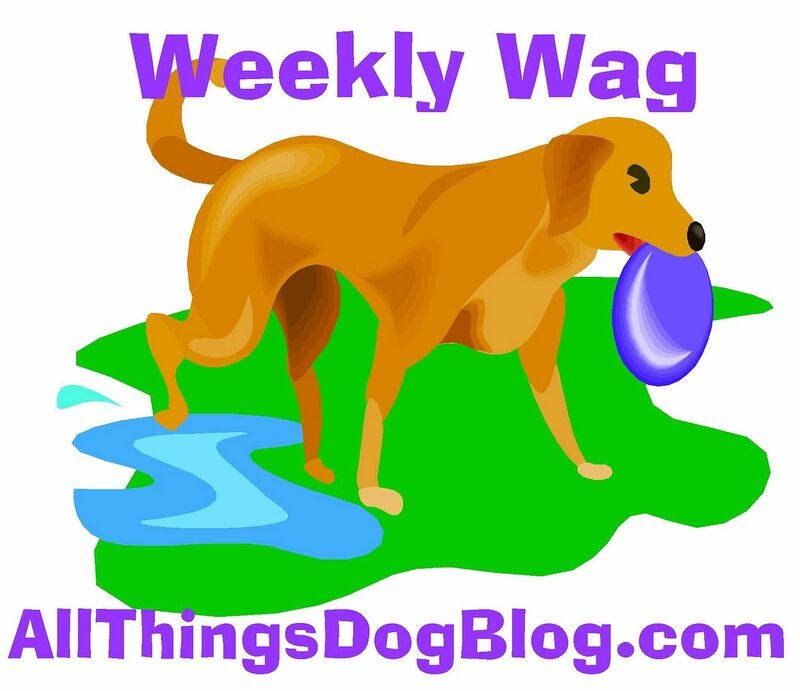 All Things Dog Blog is working with DogTipper.com in their Event Barkers partnership to help promote Coupaw's Halloween products. I'm just helping out :) This drawing is exclusively for U.S. winners.